Just like all other sports, Brazilian Jiu-Jitsu has an etiquette, and Jiu-Jitsu etiquette is closely followed. Offend the rules and the consequences could be bad enough you may have to leave the school. So pay close attention. One of my favorite sports sayings is “The Ref will moderate the written rules. Your competitors will moderate the unwritten rules.” Here is a mix of written and some unwritten rules. I’ll do this in order of ‘guideline’ to ‘essential’. Start out the roll with some good etiquette. If you don’t know your training partner, take a quick second to introduce yourself and get their name. If this the second or third time someone has gotten your name and not remembered it, don’t worry about it. A Jiu Jitsu mat is a terrible place to play the name game. You have probably forgotten a name or two as well. Instead of the handshake BJJ people (We need a better name) like the fist bump or hand slap. Also, smile. 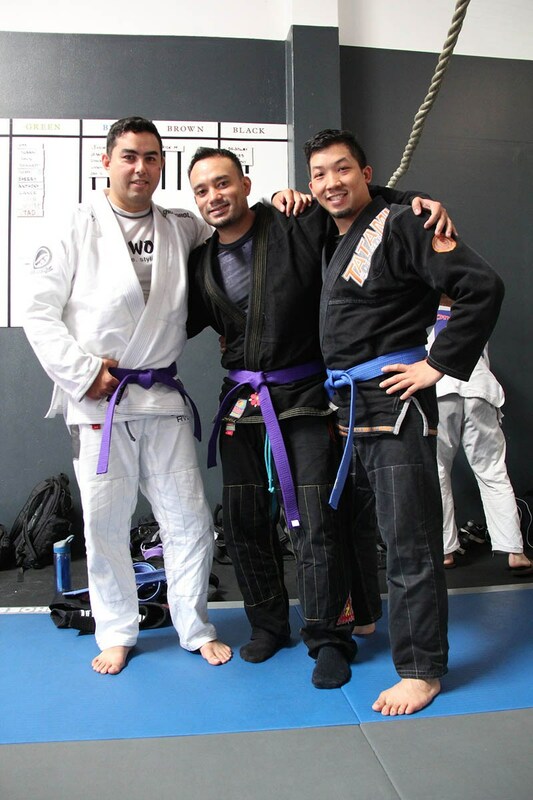 BJJ people are warmer than most martial artists. There is usually a mood of help and levity in a mat room. Add to this feeling. Don’t take form it. BJJ Etiquette: Identify the proper title for the instructor. Watch what the other students do. Most places I have been to don’t require that you refer to instructor as Sifu, or teacher but use some tact and see what the others do. Most schools have Brazilian roots and Brazilians are a pretty informal group of people. On special occasions, the higher-ups may call each other ‘Professor’ or ‘Maestro’. There is a very fine point to clarify here, so pay close attention. I am not fighting another human being. I am in a contest against my practice partners ‘game’. Jiu-Jitsu is a series of offensive or defensive moves against an opponent taking similar action against me. During the Jiu-Jitsu match, it is not relevant what my personal feelings are about this person. Even if they are offending this personal rule, do not play into this downward spiral. This is a difficult point as we are in a very close quarters martial art. Furthermore, it is very important to master your inner emotions. Letting your emotions rule your breathing and movement can leave you out of breadth and vulnerable. Master this distinction and Brazilian Jiu-Jitsu will be a lot more manageable. BJJ Etiquette: Always Show Respect! One of the best things about Brazilian Jiu-Jitsu is the show of respect. There is an air of mutual reverence that is infectious. You don’t see this level of good behavior in other areas of life. This shocked me when I first joined. 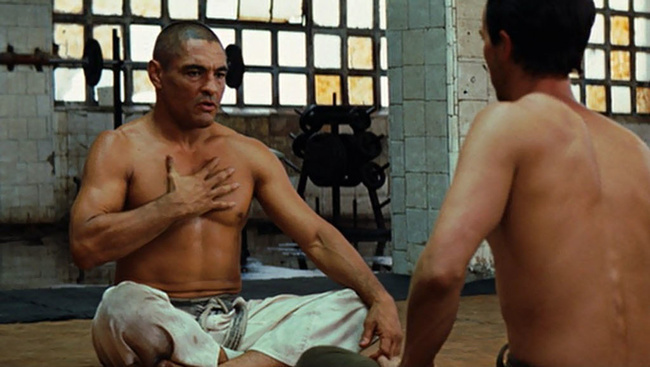 One would think that a BJJ gym consists of a bunch of anti-social, maladjusted men giving each other the stink eye. We watch people use disrespect as a tool to harvest respect. This only works in situations where people cannot measure others. In the BJJ school, the hierarchy is clear. 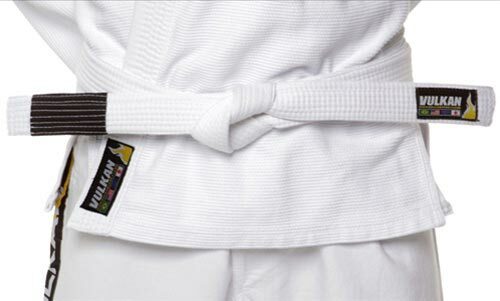 Black belts have the rank and the ability to back it up. The senior belts show respect to everyone regardless of belt and rank. They do this because their journey has been stained with hardship and humility. Anyone can make a claim that he/she is the best, but they will be expected to back it up. The best route to take is smile and be friendly with all of your practice partners. Thank them for the roll, they just participated in with you and always remember that if you are disrespectful on the mat you are not getting the essence of Brazilian Jiu-Jitsu. 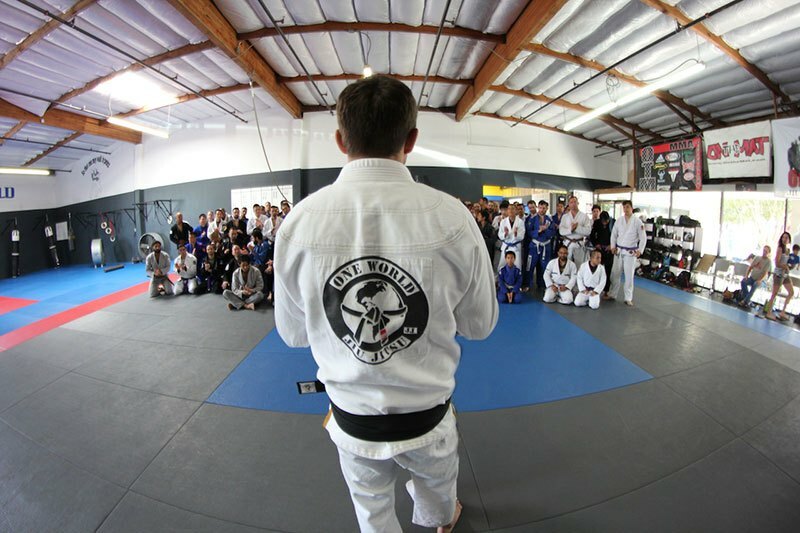 BJJ Etiquette: Egos limit your progress! If the voice inside your head says something like “I am the best grappler in this room” as you arrive at your school. Then you have an ego problem. 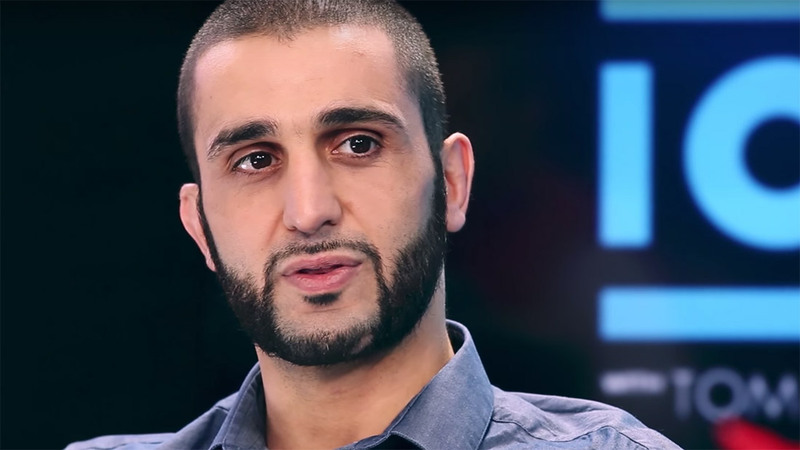 I think it is fair and healthy to say something like: “I am a good grappler and I am ready mentally and physically to roll. However, if I am careless I will get tapped.” See the difference in the statements? Both statements rate the person saying the statement highly. But the first statement is a comparison statement. The sayer of the statement compares him/herself to the other students in the room. On many levels this statement is wrong. A competent and healthy person usually doesn’t think this way. If they are in fact the best in the room, they should want to help, teach, and give. They don’t want to crush hope or be the one who ruins the experience. You cannot develop your BJJ game and maintain a bloated ego at the same time. Big egos can and do read like mental problems. Don’t be that guy. One would think big egos would be super useful in a thing like Jiu Jitsu but they aren’t. In fact, after a couple minutes of live mat time, the people in the class will have a great understanding of who you are and your abilities. If you walk into a new mat room with an air of superiority they will throw their Alphas at you and quietly celebrate when you get tapped. Brazilian Jiu-Jitsu is very revealing that way. So again, leave the ego at the door. At Brazilian Jiu Jitsu’s core is a martial arts system for dealing with larger, stronger opponents. All the other stuff like the tough guy acts, disrespect, big egos and bad hygiene have nothing to do with BJJ. They are distractions. Do your best to stay away from the above examples and you should do great. See you on the mat. Keep it Gentlemen. Just like all other sports, Brazilian Jiu-Jitsu (BJJ) has its own mat etiquette. Here is what you need to keep in mind.